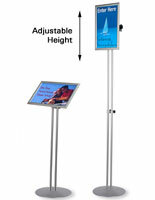 Frame attaches vertically or horizontally for twice the display options. 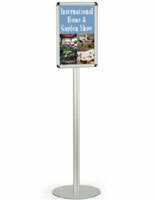 Stands just under 5 feet tall; great for piquing customer interest. Magnetic, non-glare lens keeps advertising materials in place. 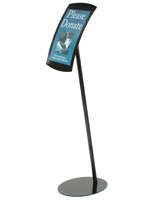 This floor-standing magnet frame is a great poster stand to help gain a customer's attention and draw him or her into a restaurant or shop. 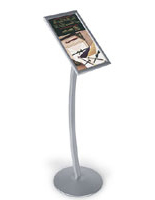 We offer this floorstanding display in both black and silver finishes. 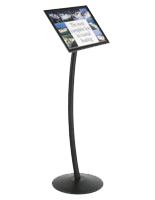 Standing just under 5-feet tall, this magnet frame, also known as a sign stand, is perfect for communicating sale prices or specials. Restaurants often purchase this fixture to promote menu items, or to give guests a sneak peek at the specials of the day. 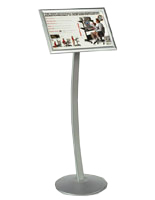 This magnetic holder, magnet frame can be found in many different locations, including salons, cafés, business offices or bank foyers. This floor stand ships unassembled, however it is easy enough for one person to put together in a matter of minutes. 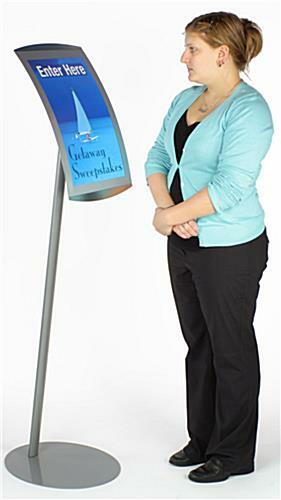 Clearly this curved sign holder is a multi-functional magnet frame! Passersby will be compelled to stop and take notice of the signage. The convex magnet frame features a flip-open lens to cover graphics, keeping them securely in place. The non-glare lens uses a magnetic border to connect to the metal stand. Not only does the magnet frame protect your advertisements from fingerprints and debris, but it also makes changing them easy! Simply lift up the lens, remove the old image and replace with new graphics, and re-seal the lens onto the metal backing. 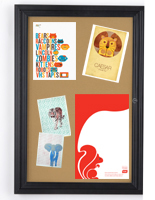 This poster stand, magnet frame holds a standard 11" x 17" graphic. 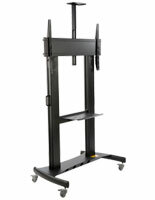 You can even mount the frame either vertically or horizontally! The magnet frame, such as our curved frame, is made of anodized aluminum and has a smooth, silver finish to match any décor. 13.8" x 58.8" x 17.8"
Very professional looking sign. Great quality throughout. So easy to change the display! And very professional looking!